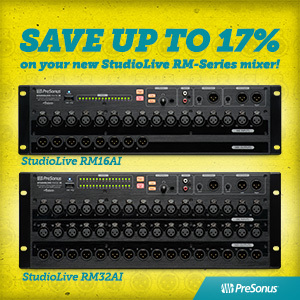 Learn more about the StudioLive RML Rack Mixers here. 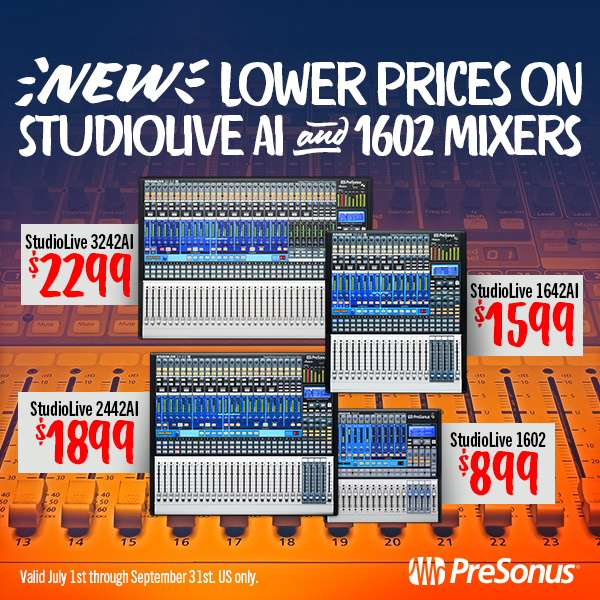 Compact, lightweight, and road-ready, StudioLive AR USB-series mixers provide an all-in-one solution for mixing and recording. Create multitrack recordings and fly in backing tracks with a 24-bit, 96 kHz, USB 2.0 digital audio interface; record and play back in stereo with the integrated SD digital recorder; and stream program music wirelessly, using onboard Bluetooth. 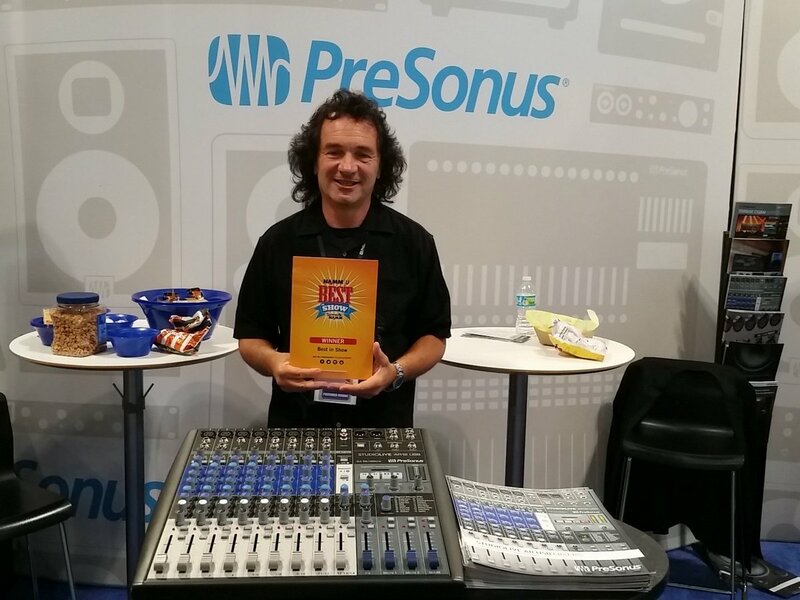 Whether you’re at a gig, in the classroom, in rehearsal, or in the studio, StudioLive AR USB-series mixers make mixing and recording easy. Goes to show that you just can’t keep a good promo down. 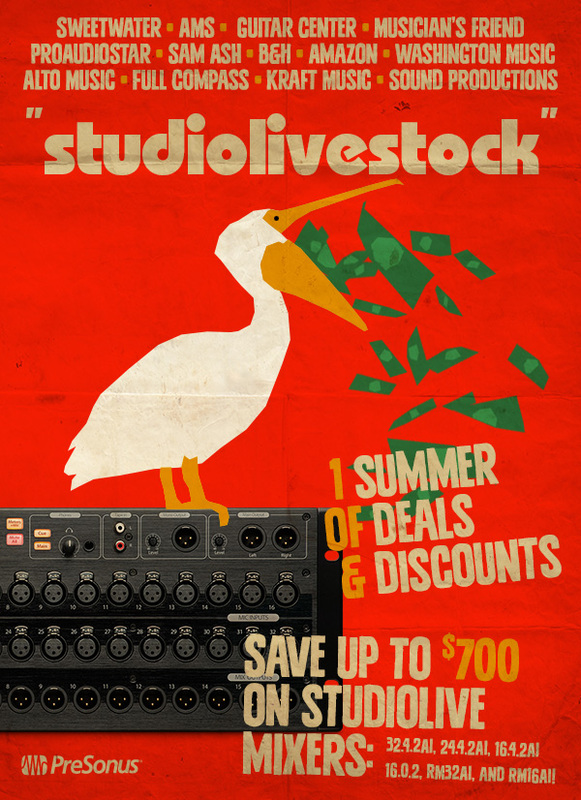 Due to popular demand, we’ve extended our existing StudioLive RM mixer rebates until August 31. We’re offering up to 17% off of the RM-series StudioLive mixers. That’s $200 in the USA, but exact amounts will vary regionally. 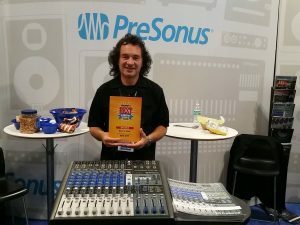 If you haven’t checked in on the RMs in a while, it’s worth noting that The RM-series mixers recently had cascading support added in the most recent firmware update, allowing you to get build a 64-channel mixing powerhouse. If that’s appealing to you, it’s right for you to know that this is not a one-per-customer discount offer. And if you own a StudioLive AI console mixer, you’re likely interested in the RM’s new stagebox mode.